Part of the cashew family Anacardiaceae, the Schinus terebinthifolius can be found in countries with subtropical or tropical climates such as South Eastern Brazil, Paraguay and Northern Argentina. In Brazil itself, it is normally found in places such as Alagoas, Bahia, Espirito, Santo, Mato Grosso do Sul, Minas Gerais, Pernambuco, Parana, Rio de Janeiro, Rio Grande do Norte, Rio Grande do Sul, Santa Catarina, Sao Paulo and Sergipe. While it is called the Schinus terebinthifolius, it is also commonly known in plain English as the Christmasberry, Rose Pepper, Florida Holly, Brazilian Pepper and Aroeira. Even though it’s known as the Florida Holly, the Schinus terebinthifolius originated from south America to be cultivated, sold as an ornamental plant and is not a holly. 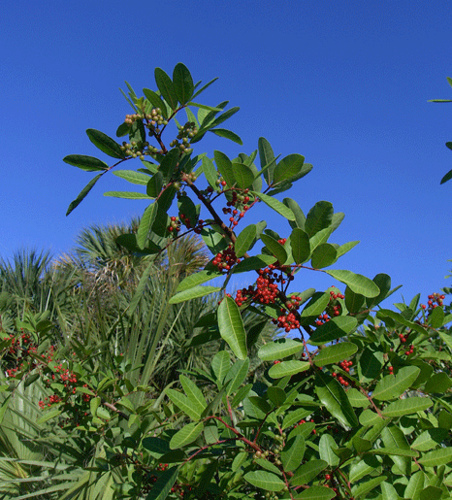 The reason behind its name can be due to the fact that the Florida Holly and Christmasberry trees would have branches that are similar to Christmas decorations. 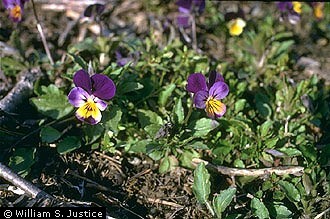 But do not let these fool you as other members making up the Anacardiaceae family includes poison ivy, poison oak, poison sumac and poisonwood. With cousins like these, it is little wonder why sensitive people may develop a severe case of dermatitis upon contact with the sap or resins of a Schinus terebinthifolius. The Brazilian pepper is not a true pepper as they are often sold as pink peppercorns. Berries of a Brazilian pepper however, can be used as additives to food by introducing a pepper-like taste to it and are sold as dried pink seeds. When it is crushed, it releases a volatile taste with an aroma that smells like piperine oil which is one of the key components in a black pepper. In countries where the Schinus terebinthifolius are found, they are normally grown primarily for culinary purposes. When the trunk of a Brazilian pepper is cut, it will be hard to control as basal shoots are grown from the base of it. When that happens, more trees will be grown whereby producing more sees of which ants, raccoons, bees and birds will continue its pollination processes. Fruit-eating birds such as the highly migratory American Robin have been known to spread the seeds of the Brazilian pepper. Other wildlife and certain species of birds are noted to like the berries of the Schinus Terebinthifolius plant as the berries are known to have a narcotic effect of them. 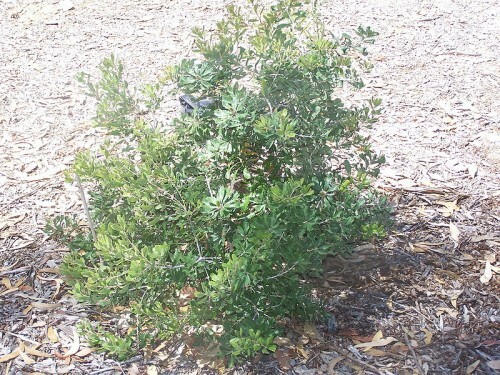 Outside its natural growth, the Brazilian pepper becomes a widespread invasive species and can now be found in countries with subtropical climate such as Australia, the Bahamas, Bermuda, Southern China, Cuba, Fiji, French Polynesia, Guam, Malta, The Marshall Islands, Mauritius, New Caledonia, New Zealand, Norfolk Island, Puerto Rico, Reunion, South Africa and the United States. 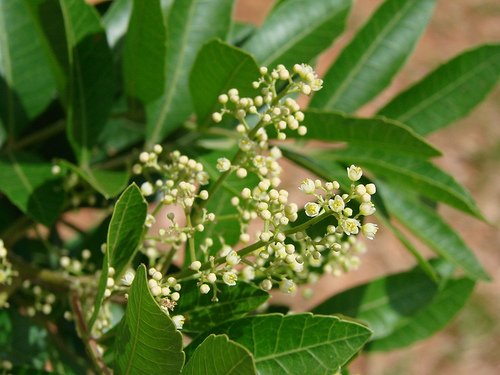 To stem the spreading of the Brazilian Pepper, the application of two herbicides such as Triclopyr and Glyphosate were approved by the United States as means to eradicate the growth of basal shoots. Picloram has also been used in the past on the stump of a freshly cut Brazilian pepper but it not the most effective way to stem the spread of Brazilian Peppers.